. :: Elica Editions ::: Walter & Sabrina ::. 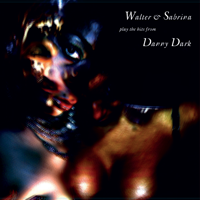 Walter & Sabrina were responsible for one of the greatest musical cycles of the last decade, a mind-boggling masterpiece ofexquisite and eccentric composition, outstanding lyrical concept and depth, and startling orchestration, whose scale can only compare with the musical and conceptual intricacy of classic masterworks such as Parks’ Song Cycle, Battisti’s Anima Latina, Gainsbourg’s L'Homme à Tête de Chouz, Perfect Vacuum’s A Guide to the Music of the 21st Century and a very few others. A project by composer/arranger/performer Walter Cardew and composer/story-teller/painter Stephen Moore with help from several excellent musicians, Walter & Sabrina have stood out since their first album from 1994 for the originality of the lyrical concept and of the music - an extremely nonchalant and adventurous combination of styles including contemporary classical composition, progressive and acid rock, superbly harmonized chant, angular song structures and grooves, sublimated folk, noise and all kind of weirdness in between plus crazy guitars throughout - which can be loosely connected to some earlierRock In Opposition experiences. This combination found its apex in the Danny Dark saga produced between 2002 and 2005 and scattered through three CD-albums, from which this LP presents a selection of possibly the most evocative pieces that altogether create a hauntingly beautiful, always surprising, intensely rewarding and groovy listening experience. And out of the Dark world this album also presents their breath-taking rendition of Cornelius Cardew’s We Sing for the Future. LP released in an edition of 300 copies with color cover by Stephen Moore.